Epson Matte Presentation Paper, 4.9 mil, 11 x 17, Matte Bright White, 100/PK - Presentation paper is a bright white, coated paper ideal for printing newsletters, flyers, reports or special presentations containing photos or graphics. Its smooth matte finish means you get bright colors and dark text. 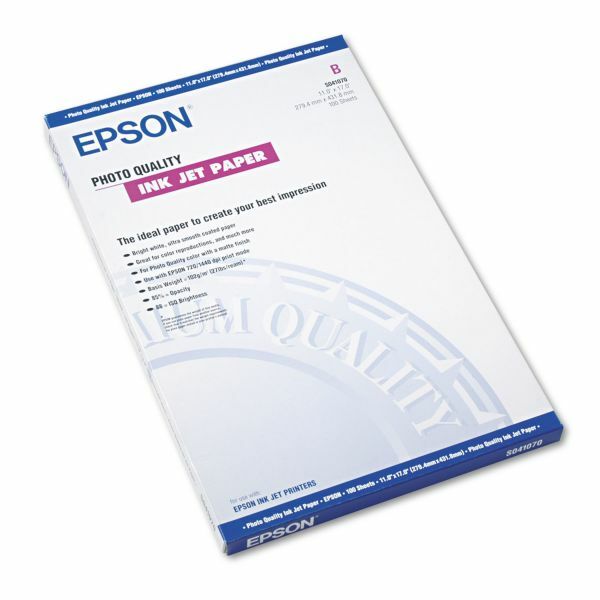 Single-sided, 4.9 mil thick paper is compatible with all inkjet printers. 27 lb.